Whether it’s drinking pumpkin spiced lattes or planning Halloween makeup, October has to be one of one of the best months of the year –especially with such good weather in Dubai! The sunsets are prettier, the humidity has dropped, and we can finally go for a walk along the beach –as we say goodbye to the hot summer, and hello to our favourite season. Although you’re probably planning to hit a beach club every weekend, we’ve planned plenty things to do in Dubai this October, so take note. Gordon Ramsay is back in the UAE to launch a new ‘Fit Food’ menu we can’t wait to try at his Bread Street Kitchen restaurant in Dubai. The famous chef is offering guests a special four-course meal inspired by his new cookbook named ‘Ultimate Fit Food.’ You might even get a selfie with Gordon! ExpatWoman’s annual Burj Al Arab Breakfast is back for its 2018 edition, as EW have teamed up with Moorfields Eye Hospital Dubai and Pinky Goat to bring you an insightful morning on eye beauty and health in celebration of World Sight Day. 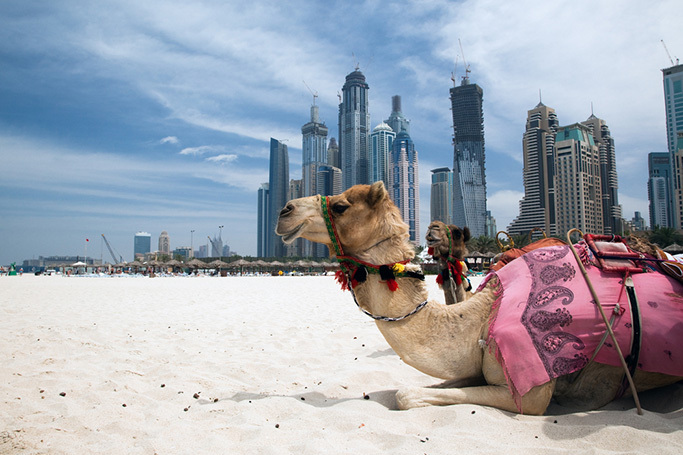 Expect a fabulous goodie bag and a morning in Dubai's most iconic hotel! Nineties Eurodance group Vengaboys are in Dubai this month for an epic party of catchy tunes and cheesy dance moves. Expect hits like ‘We’re Going To Ibiza’ and ‘Boom, Boom, Boom’ live from Dubai’s party hot-spot Zero Gravity. All aboard the Vengabus! In honour of Breast Cancer Awareness Month, EW partnered with Pullman JLT and Al Jalila Foundation to bring you an inspirational and educational morning event in hopes of spreading awareness and raise hope among all women in UAE. Tickets are AED 50, purchased at entry, which includes coffee/tea and snacks with proceeds going to breast cancer research in the UAE. Celebrate a love for all things gaming & anime, discover new accessories, limited edition console designs, high-spec tech and gaming set-ups and so much more! Find out more here. The Umbilical Brothers are a must-see comedy duo that create a world where all their rules are broken. You can expect amazing vocal and physical abilities with a mix of theatre, slapstick and stand-up, during a one-time only show in Dubai. EW have teamed up with Impact Hub Dubai to bring you another series of events that provide insights, knowledge and advice on the ins-and-outs of setting up and scaling a business in the UAE. The first informative session will be led by legal experts Yann Mrazek and Sofia Mota. Find out how to attend here. Stay tuned for Halloween costume inspiration, spooky makeup ideas and creepy, yet chic decorations for your home –all coming up on ewmoda this October!